we have managed to reach out to you in some way or other/ made you smile and/or made your stay in the Department a more meaningful and memorable one. 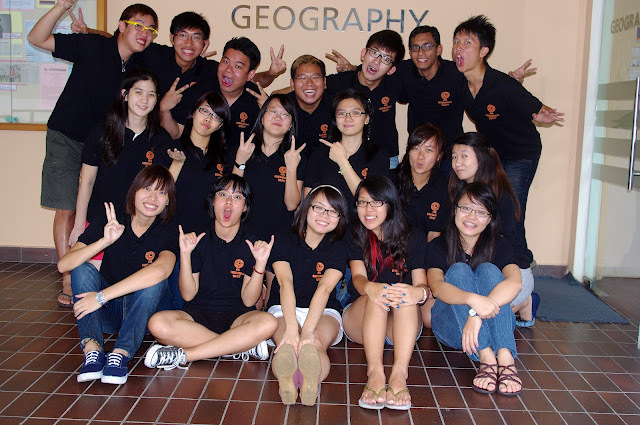 and in promoting the discipline of Geography amongst the Singaporean student community". To conclude this term proper, the 46th Management Committee has put together a short photo montage of all the events we have done the past one year, which we hope to share with you at http://www.youtube.com/watch?v=5oUmGQhBrn0&list=HL1346206031&feature=mh_lolz.